Got a group? Get a deal! Call our Ticket Office at 972.744.4650 to find out if the performance you wish to see is eligible for group discounts. 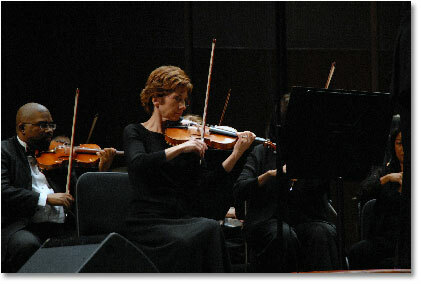 Eisemann Center Presents shows offer a 10% discount for groups of 10 or more patrons. You can order the tickets by phone with concierge service that gets the best seats available for your group at the fabulous Eisemann Center. Cameras: Photographing or recording performances is strictly prohibited. Latecomers Policy: As a courtesy to other patrons and to the performers, latecomers and those who exit the theatre during a performance will not be admitted into the audience chamber until an appropriate interval as determined by Eisemann Center House Management. Lost and Found: To inquire about personal belongings that may have been left in the theatre, call 972.744.4600 or 972.744.4616. Parking: Patron event parking is available at the Bank of America and Galatyn Commons garages adjacent to the Eisemann Center on Performance Drive. Follow the signs located at key intersections to parking. Self-park is $5.00. Valet parking service is available for selected events for a $10.00 fee. Refreshments: A full-service concession area is located in the main lobby. Prelude Cafe is open for pre-show dining for selected performances in the Green Mezzanine Gallery area. Check Performance Details for availability and call 972.367.2000 for reservations. Smoking: Smoking is not permitted anywhere inside the Eisemann Center.